Buying a used car can be a bit of a minefield, even more so when it is your first time. If you are looking to buy your first used car, these 10 must ask questions will help you to make the right decisions. Is it better to buy a nearly new car, or an older used car? The answer to this question is likely to be dictated by your budget. If you only have a few hundred pounds to spend, an older used car will be your best option. 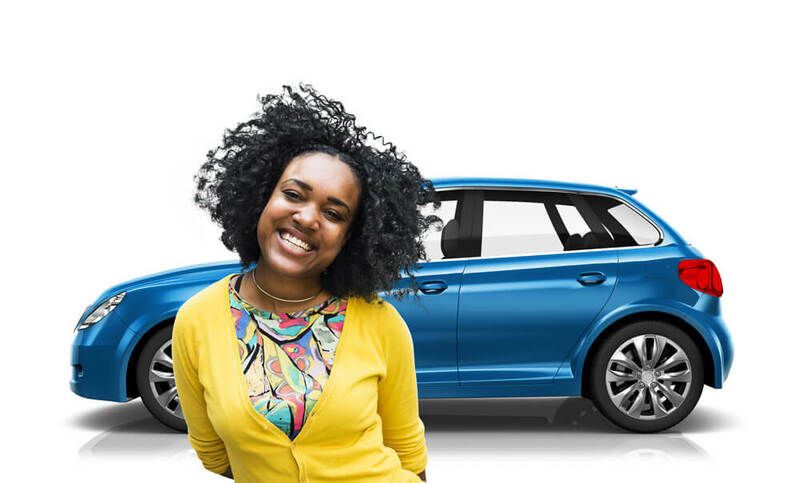 If you have a budget of several thousand, you may find yourself with a choice between a nearly new car or an older higher spec car. The nearly new car is likely to last longer, and have lower repair bills, however might not have the look or features you want. How does the car compare to the one you learned to drive in? Lanes are thrilled to be listed by Go Girl Car Insurance as one of the top driving schools in London, and the “Lanes Gold” service gives learners the opportunity to learn in cars such as a Vauxhall Corsa SXi or Ford Fiesta. Even if you choose to buy a different car to the one you learned in, it will hopefully give you some insight into what features you do (or don’t) want in a car when it comes to buying your own. What features does the car need to have? To some extent, you get what you’re given with a used car. You can however narrow down your search before you begin looking. There is no point spending time and money travelling a long way to see a car that doesn’t meet your basic requirements, so if you’re looking to buy privately, or browsing a dealer’s website, make sure you ask any important questions before you commit to a viewing. What insurance group does the car fall into? For new drivers, the cost of insurance can be as much, or even more than, the car itself. Choosing a car that is in a lower insurance group will bring down the cost of your first time driver car insurance. Typically, higher performing cars are more costly to insure, as are cars that have been modified in some way. If you do not have a specific make and model of vehicle in mind, comparing insurance groups and choosing your car carefully could save you a significant amount of money when it comes to insurance. Running costs can vary considerably, not just between makes and model of vehicles, but also between different variations of the same car. Modern cars are usually more fuel efficient than their older counterparts, as are cars with diesel engines, although diesel tends to be more expensive than petrol to buy. Should I buy from a dealer, or a private seller? Buying from a private seller will often save you money when buying a used car. Dealers are usually more expensive, as they are a middle man who needs paying, however, buying from a dealer gives you an extra layer of protection, as you will be covered under the Consumer Rights Act. This is no replacement for doing your due diligence though, you should always give the car a thorough check, as well as a test drive, before parting with any money. Is it worth buying an approved used car? Most car manufacturers offer approved used car schemes. These cars tend to be more expensive than those sold by independent car dealerships, however, these cars will have had a full mechanical inspection before being listed for sale, and the manufacturer will have rectified any faults found. Approved used cars come with at least 12 months warranty, with some offering two years cover, so with the extra outlay comes a bit of peace of mind. Should I pay to top up the warranty cover? Dealerships that do not offer approved used vehicles will often try and sell you their own extended warranty. While you will still be covered to some extent under the Consumer Rights Act if you buy through a dealer, a warranty will provide a greater level of cover. If you’ve just spent all of your savings on a car, an extended warranty can give you peace of mind, and a bit of time to build your savings back up should your car need a major repair after the warranty has run out. What previous owners has the car had? If you are buying from a dealer, you will find information about previous owners is limited. You should still be able to find out how many previous owners it has had though, and if it is had several within a short space of time, this could be a warning sign that there are underlining issues. When buying from a private seller, ask as many questions as you need to, in order to make a decision. Try and get an idea of how the car has been used – a car that has done a lot of long distance driving is likely to have suffered less wear and tear than a car of similar mileage that mostly does short, urban trips. Does the car come with a full service history? The service history will tell you about both the car and its previous owner(s). A full service history suggests that any previous owners have maintained it well. A car that has been well maintained throughout its lifetime is likely to perform well for longer than one where the bonnet has only been opened when it has been due for its MOT, or something has gone wrong. At Lanes we have a variety of driving lessons to suit all requirement. We also have many female pupils who want to learn to drive, so much so that we founded “Lady Lanes”. Lady Lanes is a subdivision of our company, which is focused on teaching female pupils to drive using lady driving instructors. To learn more, visit https://lanesschoolofdriving.co.uk/learn-with-lanes/lady-lanes/.